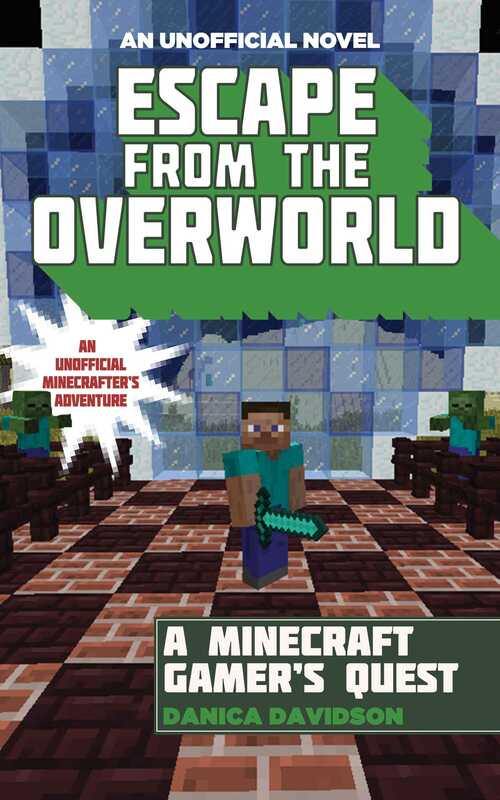 From the publisher of The Quest of the Diamond Sword and Battle of the Nether comes a new novel for Minecrafters which takes on a spellbinding battle that brings Stevie and zombie mobs into the real world! Stevie is in for a big surprise while building his treehouse: he’s first attacked by a creeper, and then must take on a group of zombies! The near miss has him feeling like the worst mob fighter in Minecraft, so when he finds a portal into a brand-new world, he’s willing to take his chances. He steps out of a computer screen and into the room of a sixth-grade girl Maison, who’s a talented builder. Stevie is shocked by how different this world is, and Maison takes him under her wing. But soon the two friends learn zombies have also made their way out of the portal! More and more creatures are slipping out by the second, wreaking havoc on a world that has no idea how to handle zombies, creepers, giant spiders, and the like. Stevie and Maison must put their heads together and use their combined talents in order to push the zombies back into Minecraft, where they belong. As Stevie and Maison’s worlds become more combined, their adventure becomes intense and even more frightening than they could have ever imagined.